Has Fidelity Solved a Major Problem with Bond Mutual Funds? 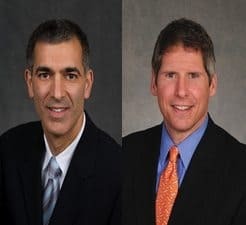 (May 2012) I recently had the pleasure of speaking with Mark Sommer and Kevin Ramundo who manage the Fidelity Defined Maturity Funds. What are Defined Maturity Funds? They are bond mutual funds whose holdings all have maturities within the year of each fund’s respective maturity date. To understand the potential benefits and drawbacks of such a fund, we need to first talk about the fundamental difference between most bond mutual funds and individual bonds. The primary concern of most bondholders is a potential default, where the issuer of the bond can no longer pay some or all of the money which is owed to the bondholder. While defaults are rare in the municipal bond market (less than half of 1 percent) they do happen. As individuals normally hold far fewer bonds in their portfolio than bond mutual funds, the chances that a default will result in a large loss for the investor are generally higher for those investing in individual bonds. One of the benefits of investors choosing bond mutual funds over individual bonds is greater diversification, which minimizes the risk of a default causing a large loss for the investor. A typical bond mutual fund will have anywhere from dozens to thousands of holdings. While the chances that one of the bonds in the portfolio will default are higher because of the mutual fund’s large number of holdings, the loss in relation to the total holdings will be smaller. Bond prices move inversely to interest rates, meaning that if interest rates rise after an investor buys a bond, the bond will fall in value. This is the concept of interest rate risk, which is also a major concern of bond investors. Generally, the longer a bond’s maturity, the more interest rate risk it has. As a bond moves towards its maturity over time, its interest rate sensitivity gradually declines, eventually to zero at maturity. One of the benefits of buying most types of individual bonds is that, if you hold the bond until maturity, you don’t have to worry about losing money on the bond due to interest rate risk. With most types of bonds the interest payments and the amount you receive at maturity are both fixed over the life of the bond. This allows investors to eliminate interest rate risk at their investment horizon by simply holding a bond until maturity. By buying and holding bonds until maturity, investors can also buy bonds with coupon payments and maturities that meet specific income needs, as they know exactly how much they are going to receive over the life of the bond. 1. Interest rates generally fluctuate over time, which means the new bonds that the fund is buying are likely to have different interest rates than the bonds being replaced. This also means that the income stream the fund pays to investors will fluctuate as well. 2. If interest rates rise between the time a bond is originally purchased by the fund and the time that same bond is sold, this will create a capital loss for the fund and potentially its investors as well. This is especially a concern for investors in longer term bond funds where small moves in interest rates can create losses for the fund. As an example, if interest rates rise one percentage point (from say 3% to 4%), some bonds within the fund may decline 10% or more. If those bonds are sold to meet fund redemptions or any other reason, capital losses could be realized and passed through to shareholders. Even without any selling, the value of the fund’s share price would fall (roughly as a function of the fund’s average “duration”, a measure of interest rate sensitivity that is a related to a bond’s maturity). Fidelity has a solution to the above problem which is designed to provide the diversification benefits of a bond mutual fund, with the declining interest rate sensitivity of an individual bond. The advantage of Fidelity’s Defined Maturity Funds over traditional Bond Mutual Funds is how they deal with interest rate risk. Unlike most types of bond mutual funds which maintain a constant duration, Defined Maturity Funds allow the duration of the fund to shorten naturally, by buying bonds which all mature around a specific maturity date, and holding those bonds to maturity. This is designed to offer investors the best of both worlds: The diversification benefit of a traditional bond mutual fund and the declining interest rate risk sensitivity of an individual bond. Fidelity currently offers federally tax-exempt funds with defined maturity dates of 2015, 2017, 2019, and 2021. If you buy the 2017 fund, for example, then you will be investing in a portfolio of bonds which all mature within months of July 1st, 2017. Although there will still be some amount of buying and selling in the portfolio during that time (for instance, to deal with things like new investors buying into the fund or selling a bond with a declining credit profile), it should be less than what would be experienced in a traditional bond mutual fund. As a result, when the 2017 maturity date is reached, investors will be paid out from the maturing proceeds of the bonds held in the fund. LB: With the default rate on municipal bonds being so low, is the benefit of diversification worth 100 BPS (1.0%) in fees? MS: I think what you are really asking is what benefit is the client getting. First off, the fee for the Defined Maturity Funds (retail share class) is 40 Bps (0.4%). Second, most investors only buy the individual names they know, like the state GO bonds. The names that everyone is familiar with tend to be the most popular, and as a result pay lower yields. By investing in a fund like ours, you can get higher yields by investing in less well known names. We do credit research on every issue and actively monitor holdings for potential issues. MS: (Editor note: After explaining this to me twice, he provided the following example) Let’s say that you are the lone shareholder in a fund and, when you invest, the fund in turn buys a single bond at a 2% yield. The distribution yield of the fund would be 2% thereafter. A day later, if the yield on the bond falls to 1%, the SEC yield on the fund would decline from 2% to 1%, but the distribution yield would remain at 2%. Generally, the distribution yield of a fund reflects the average yield at which the underlying bonds were purchased. The SEC yield reflects the average market yield (today) of the bonds. LB: How should an investor interpret the SEC yield of a Defined Maturity Fund? MS: Normally we tell investors they should not just focus on yield when they buy a bond mutual fund. The funds with the highest yields are often times the most risky. In addition, the SEC yield is generally a poor guide for the return you should expect from a bond fund. However, in the case of a Defined Maturity Fund, the SEC yield when you buy is a good estimate of the annualized return you can expect holding the fund to maturity. This assumes that we do our job by avoiding bond defaults or distressed sales. LB: Do you believe in bond laddering? A recent guest editorial in Learn Bond’s pointed out laddering is bad strategy in a stable and declining interest rate environment? MS: Now, we are moving from the realm of fact to opinion and the opinion expressed is my own and not Fidelity’s. You should only ladder when you have a specific purpose in mind, like providing a consistent stream of income or have particular investment objectives you’re trying to meet, like tuition payments for a child’s education. A final interesting point from our discussion was that Mark thought that investors were overly pre-occupied with default rates. He thought their focus should be more on declining credit quality instead. The basic point here is that by focusing on declining credit quality you put yourself in a position to sell a bond long before any potential default. The Fidelity Defined Maturity Funds hold from 40 to 70 Investment Grade municipal bonds so as to minimize default risk.